The old and existing associates of Sabaeans (or Sabeans) and Ḥimyarite are descendants of a Turkic Mongolian gangster nicknamed Saba’a (means captor or slaver who claim to be Sun worshiper Saba’a ibn Yishgub bin Yarub bin Qahtan). They were and are the remnants of Turkic Mongolian looters and colonizers, together with their slaves and collaborators. One of the biggest frauds in history was made by confusing and blurring the history of the Abyssinian Queen Sheba and the Hebrew King Solomon with that criminal regimes of Sabaeans (or Sabeans) and Ḥimyarite. 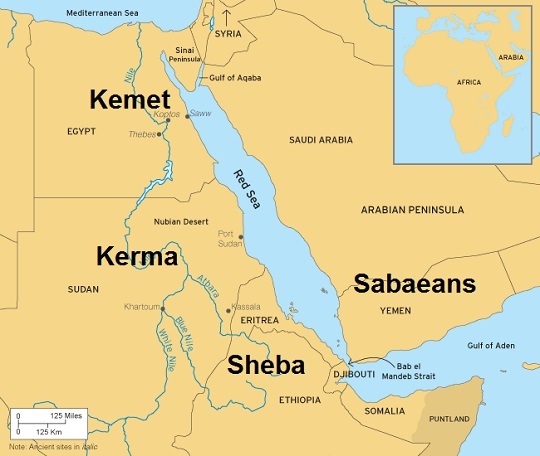 The Old Testament does not mention the founding person of the Sabaeans (or Sabeans) and whether they were in Yemen or Abyssinia. It does not help in resolving the confusion between Saba’a and Sheba. In my search for the lost and found members of the Tribe of Shabazz, I read someones post that suggested they were Sabaeans. On the other hand I understood them to be the “lost tribe” of Israelite lineage. How could they be both? If they were both why did the Bible have these Sabaeans at odds with the Israelites? Something didn’t read right. Just before coming to this page I ordered a book: “Saba’s first inhabitants: A story of 3300 years of Amerindian occupation PRIOR to European contact (1800 BC – AD 1492)” by: by Corinne Hofman (Author), Menno Hoogland (Author). After visiting this page, I reflect back on the books title and it eludes to the summary of this article. I’m curious to see who the Ancient people in that region actually were. The lost sheep of Israel are the Hebrew Israelite, because the original Israelite were African from Punt specifically, and were Ge’ez speaking. The fraud of called “the Ten Lost Tribes of Israel” is just a deception. The original Israelite from Punt were scattered by the Turkic Mongolian Jews who took their identity. True Israelite no longer exist anywhere.